Poor Mrs. Clownfish. Constantly these hassles with the kids. If you're not at home, only for a few minutes, these little brats are spread around the whole reef. That's not good. Make shady lounging around in the area. 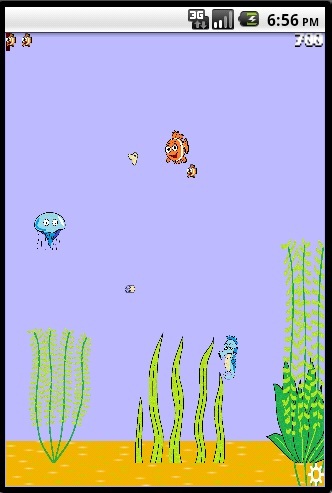 Tickeling crabs, confused blowfishes, bowout sea horses and sticky tantacle jellys are roaming in the reef. Even dizzy dolphins, grinning wales and gnash-teeth-sharks have been seen. So leave the anemone and bring the kids back home! Gaining more points for eating plankton!